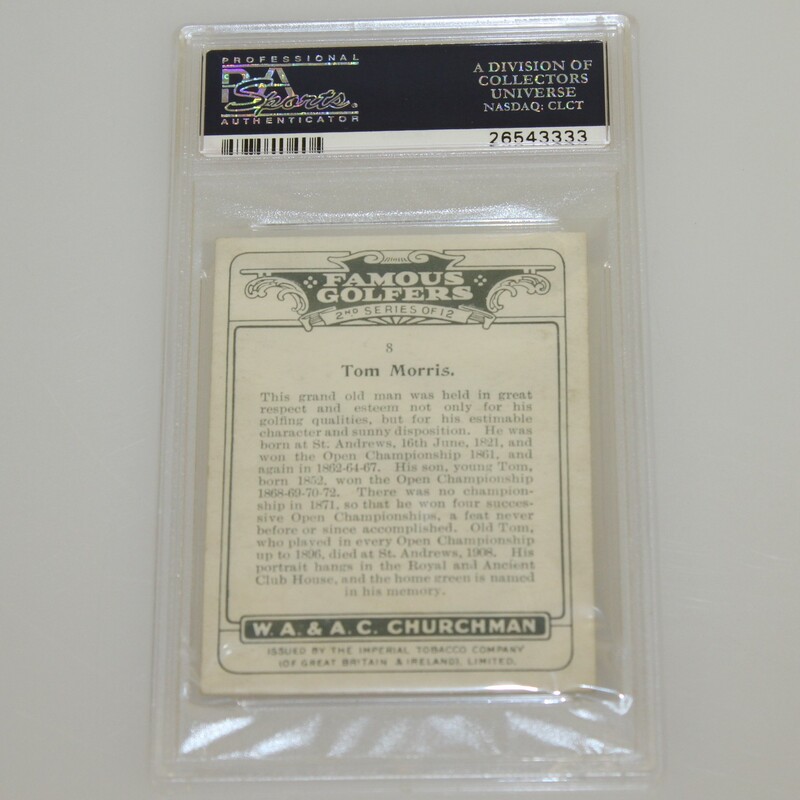 Here we have the Tom Morris #8 W. A. 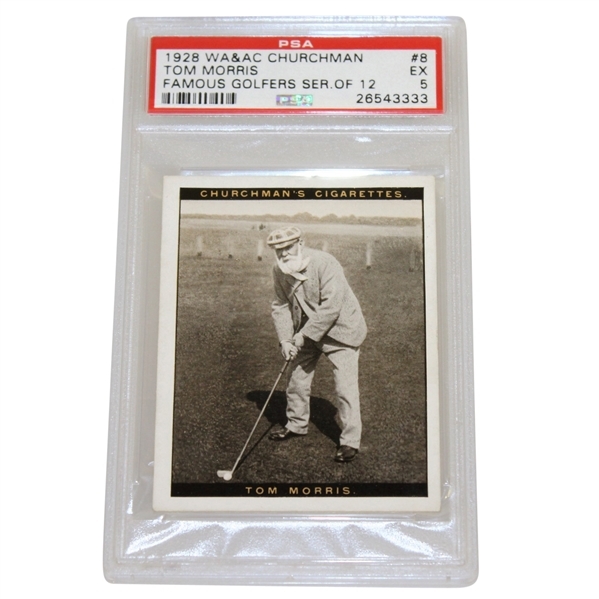 & A. C. Churchman Famous Golfers card. It comes PSA slabbed #26543333 in excellent condition. 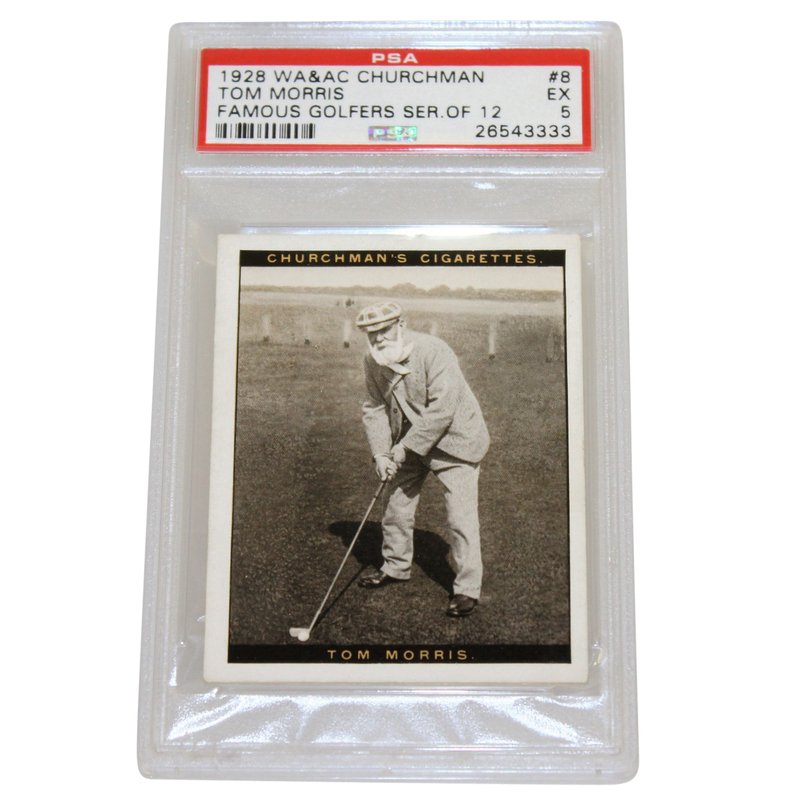 Old Tom Morris was a key figure in golf in the 1860's, and his life revolved around golf up until his death in 1908. He won the Open Championship four times (1861, 1862, 1864, and 1867) and he and his son, Young Tom Morris, are some of the most recognizable names in golf.